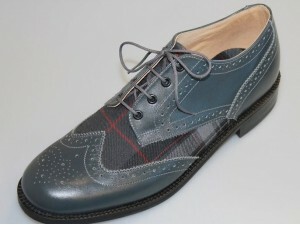 Buchanan Brogues are stocked in a range of tartans and tweeds. We have selected several of the newest tweeds from Johnstons Of Elgin and a range of classic tartans for those who are more interested in the style than the clan. 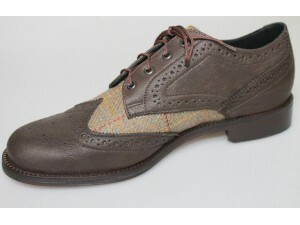 You can also choose your leather and tartan or tweed. If can't find what you had in mind please contact us. 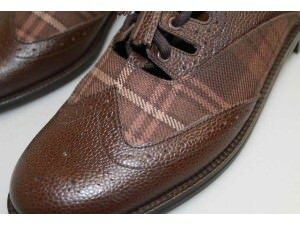 A pair of Buchanan Brogues that take the Scottish Brogue shoes back to their true highland origin..
A chocolate brown calf leather brogue in the Modern Buchanan tartan, ideal with a pair of jeans o..
Skye Blue Nubuck Leather Brogue. Leather lined. Moleskin covered 3mm Poron insole fo.. 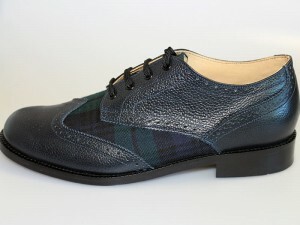 The Regiment Brogue with Dark Blue Grain Leather and Black Watch Tartan. 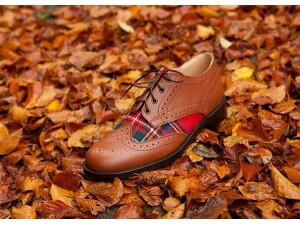 ..
Our Classic Brogue design, incorporating an OxBlood grain calf leather insert on an OxBlood ..
Ash Brown Brogue in brown 'Auld Lang Syne' tartan with brown calf leather. .. 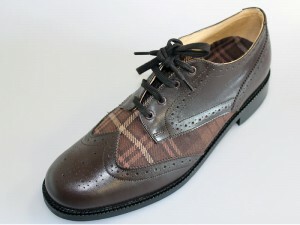 The Ash Brown Ghillie Brogue in a stock brown tartan with grain calf leather. 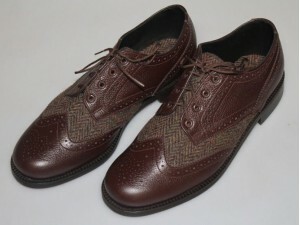 Comes with a ma..
A Tan Grain Johnston of Elgin Tweed Brogue. 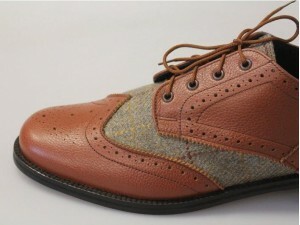 Made using Scottish spun Tweed and calf leather with .. The Harris Tweed Brogue is made with brown calf grain leather with Autumn Harris Ttweed (Made In ..
Grey calf leather brogue made with Grey stock tartan. 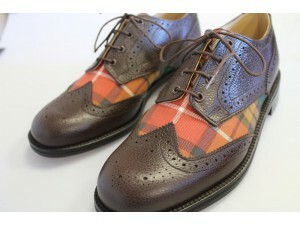 Comes with matching tartan covered inso.. 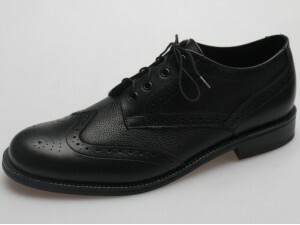 The Formal Brogue is made of Black Calf Leather with a Black Calf Grain Leather insert. Leath.. 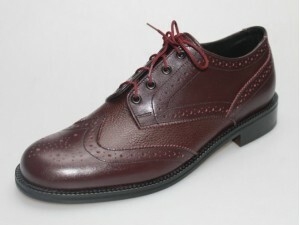 Dark Brown Calf Leather Brogue with Johnsons of Elgin Saxony Tweed. 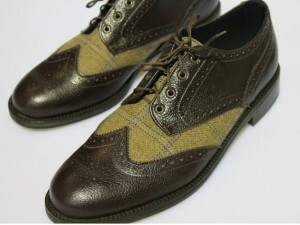 ..
Royal Stewart Tartan on a Tan Grain Calf Leather with Tartan Insole. 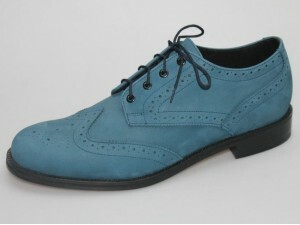 ..
Free worldwide delivery for made to order shoes. All content copyright© Buchanan Bespoke 2013. All rights reserved. Website by Source, hosting by Cube.